Ultramoderne is an award-winning architecture and design firm located in Providence, Rhode Island. 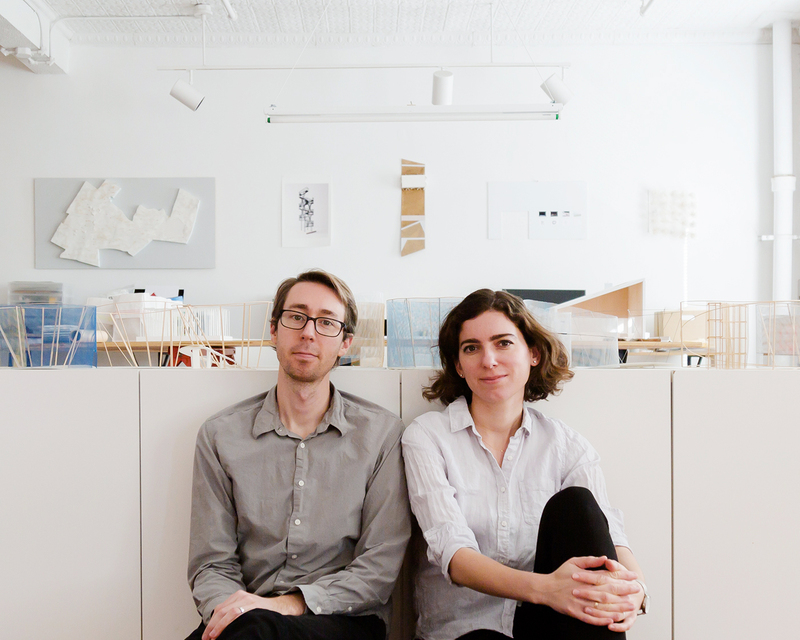 Led by co-principals Aaron Forrest and Yasmin Vobis, the office is committed to creating architecture and public spaces that are at once modern, playful, and generous. The principals are driven by an experimental approach that leads to conceptually rigorous and well-executed designs. The office has experience working at a wide variety of scales, from single-family residences to urban-scale planning. Clients include the Van Alen Institute, National Parks Service, Chicago Parks District, the Architectural League of New York, the Southside Cultural Center of Rhode Island, and the City of Central Falls. Ultramoderne regularly particpates in high profile architectural competitions, with winning entries for the Chicago Lakefront Kiosk competition (2015) and the Central Falls Affordable Housing competition (2017). The office was selected as a finalist for MoMA/PS1 Young Architects Program (2016) and for the Philadelphia Contemporary museum competition (2018). The work of the office has been published both nationally and internationally, and the principals regularly lecture about their work for both professional and academic audiences. Awards include the Architectural League Prize, an Architect Magazine R+D Award, and multiple awards from the American Institute of Architects. The office was recently recognized as "Next Progressives" by Architect Magazine. Yasmin Vobis (RA, NCARB) received her Bachelor's Degree from the University of California, Berkeley and her Master's Degree from Princeton University, where she was awarded the Butler Traveling Fellowship and the Suzanne Kolarik Underwood Prize. She has practiced in San Francisco and New York in the offices of Ogrydziak Prillinger Architects, Guy Nordenson and Associates, and Steven Holl Architects, and she was a resident at MoMA PS1 for the Rising Currents charrette and exhibition. She has taught at Princeton University and Rhode Island School of Design, and currently teaches at the Cooper Union. She received the Founders/Arnold W. Brunner/Katherine Edwards Gordon Rome Prize in Architecture 2016-17. Aaron Forrest (AIA, NCARB) received both his Bachelor's Degree and Masters in Architecture from Princeton University. In addition to running the practice, he is Assistant Professor of Architecture at the Rhode Island School of Design. Prior to RISD, Aaron taught studios at the University of Pennsylvania and Princeton University. He has extensive professional experience, having practiced in New York with Bernheimer Architecture and Guy Nordenson and Associates Structural Engineers, and in Madrid with Ábalos & Herreros Arquitectos. He was also a designer-in-residence at MoMA/PS1 for the Rising Currents exhibition.